Is Stephen Colbert publishing another book? 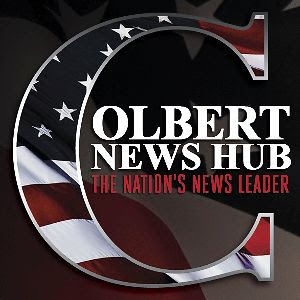 You are here: Home / Colbert Nation / Is Stephen Colbert publishing another book? According to publishing trade website Publishers Marketplace [paid subscription only], an announcement was made on Tuesday that an as yet unnamed book authored by Stephen Colbert was their “Deal of the Day.” It should be published by Grand Central Publishing, although no date was mentioned as to the release. We’ll get you more news as it is released. Oh wow, I can’t wait to hear more details about it once they’re released! Really? I actually thought he was serious when he said he didn’t want to write another. Maybe he thought, “I’m just feeling way too well-rested these days, and I’m definitely seeing my loved ones way too much. Something must be done about this.” Seriously, though, this is very exciting if it’s true!! It was published in a trade magazine that is well known in the publishing business. Due to the reputation of the source as being one of the leading publishing trade news organizations, we went with the fact that we felt relatively certain it was true, and published it. That being said, I also immediately contacted some people that I worked with when promoting “I Am America”, and they did confirm for me 100% that this was on the books. So yeah, we still fact check the hell out of things. The question mark simply makes for an eye grabbing headline.